Peppery Corns And Tomato Salad is a spicy, yummy corn salad with tang of tomato. 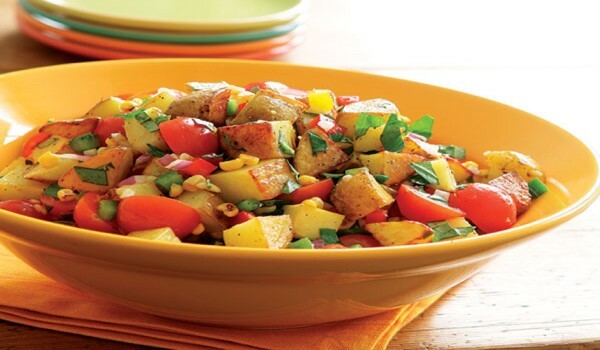 Learn how to make/prepare Peppery Corns And Tomato Salad by following this easy recipe. In a bowl, mix corn kernels, yellow capsicum, green capsicum, tomatoes and pineapple. Add lemon juice, crushed peppercorns, salt, chopped green chillies and chopped mint leaves and mix thoroughly. Put it out in a serving dish and refrigerate.